Home Auto Insurance Guides What Should You Know About Driving on Indian Reservations? What Should You Know About Driving on Indian Reservations? From the founding of the United States through the late 1800s, the federal government took more than 1.5 billion acres from Native Americans. You can watch the invasion on this time-lapse map. As Native Americans’ homelands were seized, they were forced into reservations. Today, many Native Americans live in reservations. These are self-governing, which means they’re not subject to state laws, but they’re not quite sovereign nations, either. Here’s what you need to know if you’re driving through or visiting Indian reservations in the United States. How many Indian reservations are there in the U.S.? Probably more than you think. According to the federal Bureau of Indian Affairs, there are approximately 326 land areas in the U.S. administered as federal Indian reservations. Not all fit the popular conception of a “reservation” — some are pueblos, fishing villages or other communities. The largest reservation is the 16 million-acre Navajo Nation Reservation that stretches across Arizona, New Mexico and Utah. Can people visit Native American reservations? Navajo Nation: Consider attending the annual Navajo Nation Fair, held in September in Window Rock, Arizona. See Navajo songs and dances, an Indian rodeo and wild horse race, and more. 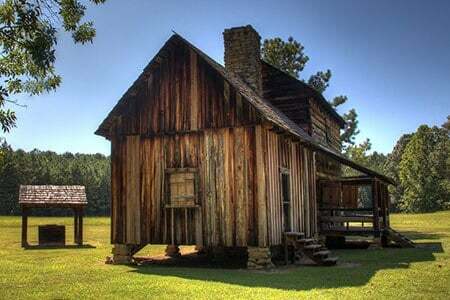 Cherokee Nation: The Cherokee Passport gives you access to five museums in the Cherokee Nation in Oklahoma, where you can learn about Cherokee heritage and history. Miccosukee Indian Village: Learn the secrets of alligator wrestling or take an airboat ride through the Everglades at the Miccosukee Indian Village in Florida. Standing Rock Sioux Reservation: The Standing Rock Sioux became internationally famous for their lengthy fight against the Dakota Access oil pipeline. Located on the border of North and South Dakota, the reservation includes the Standing Rock National Native American Scenic Byway and the Lewis and Clark Legacy Nature Trail. 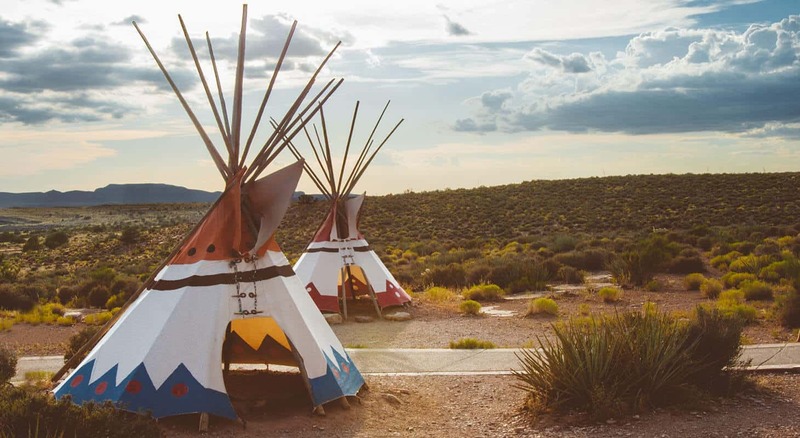 Wind River Reservation: The 2.2 million-acre Wind River Reservation in Wyoming invites visitors to the Eastern Shoshone Powwow in June, the Ethete Celebration in July and the Northern Arapaho powwow in September. What are the rules for visiting Indian reservations? Behave respectfully at sacred sites and burial grounds. Don’t touch or take any artifacts, such as pottery. Not only is it inappropriate, it’s illegal to take Native American artifacts from federal land. When conversing with people on the reservation, you should listen more than you talk, especially when an elder is speaking. Remember that you’re a guest. You’re not entitled to visit the reservation. You’re there because you have permission by its owners. What about driving through Indian reservations? Obey the traffic laws, just as you would anywhere else. On reservations, tribal police enforce the traffic laws. Some travelers say that speed limits seem to be enforced more vigorously on reservations than elsewhere, so be cautious — don’t drive even five miles over the limit. Navajo nation laws, for example, set the minimum fine for speeding at $70 for the first mile over the posted speed limit. The maximum fine is $500 for driving more than 36 miles per hour over the limit. What about other crimes, like drunk driving? It goes without saying that you should never drink and drive, and non-Indians are not exempt from drunk-driving laws on reservations. While tribal police officers’ jurisdiction is limited, cross-deputization agreements can allow tribal officers to act under the jurisdiction of the local county and arrest non-Indians. Tribal police can charge you with a DUI or DWI. If you get a DUI or a speeding ticket on an Indian reservation, you’ll have to appear in tribal court if you want to contest it. The short answer to “What should you know about driving on Indian reservations?” Respect Native American traditions, obey the laws, and learn something while you’re there. Wherever you’re visiting Indian reservations, make sure you have good car insurance. Compare.com makes it easy to find insurance that’s affordable and high-quality. Enter your info once and get multiple free quotes in minutes.